Please make sure that your browser does not block popups. You may have to allow the browser to open popups from this domain.  With this catalogue we want to provide you with reliable item information in an easy and comprehensible way. The purpose of this web catalogue is to get a good overview of IKEA developed fittings, secured by IKEA supply chain. The aim is to show the range in a structured way divided into product- and item groups. The most prioritized items in our range, which always should be your first choice, are in the catalogue marked shared solutions. Catalogue illustrations shown in this web catalogue are not to be used for production purposes. The information shall only be used for range orientation.